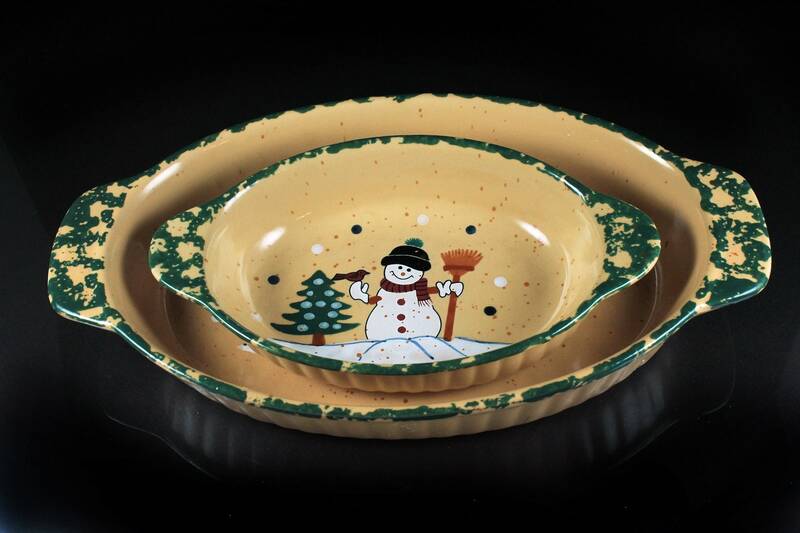 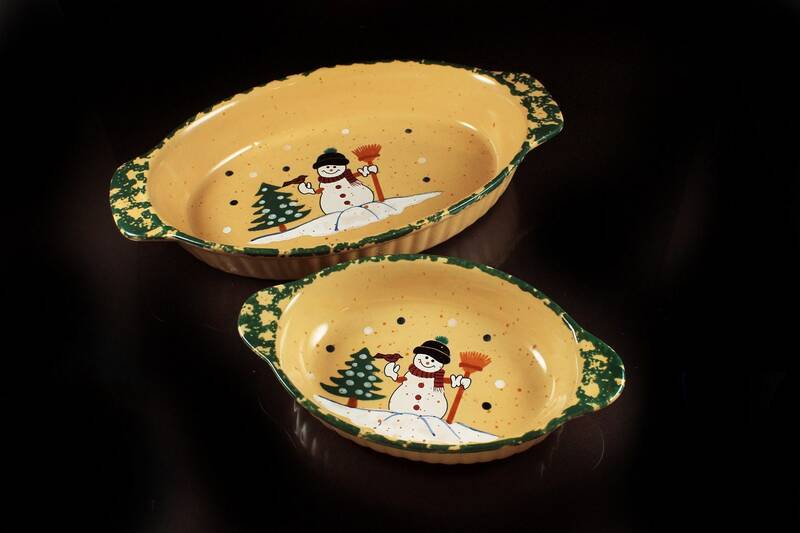 A fun and charming set of two casserole bowls by LTD Commodities. 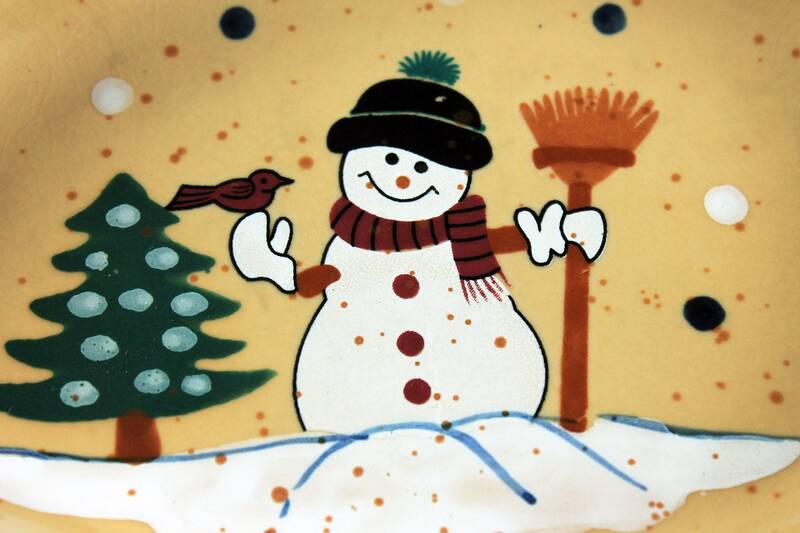 The pattern is of a snowman---holding a rake with one hand, a cardinal on the other, and wearing a hat and scarf. 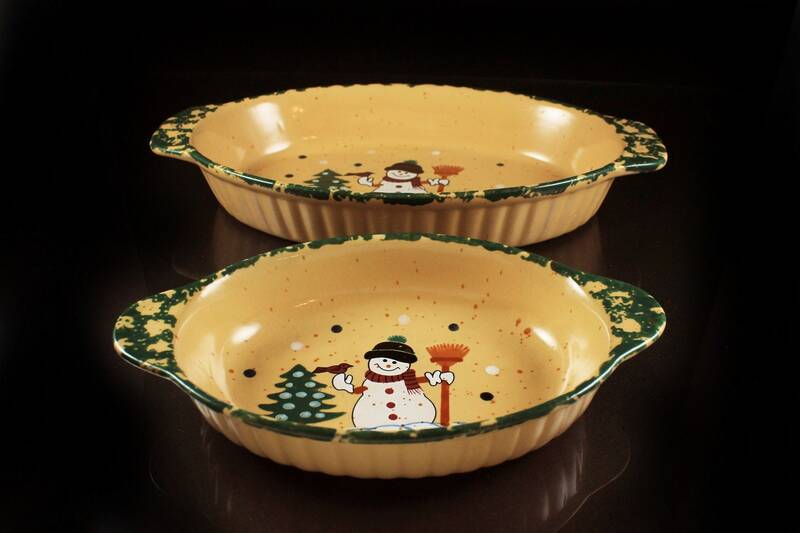 These would make great serving dishes for anything from a casserole to chips and dip. 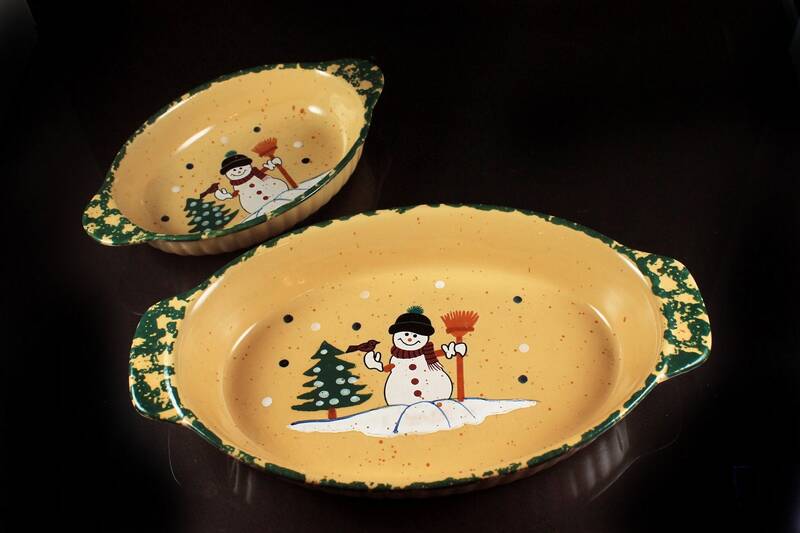 These would be a great set to liven up the Holiday Season. 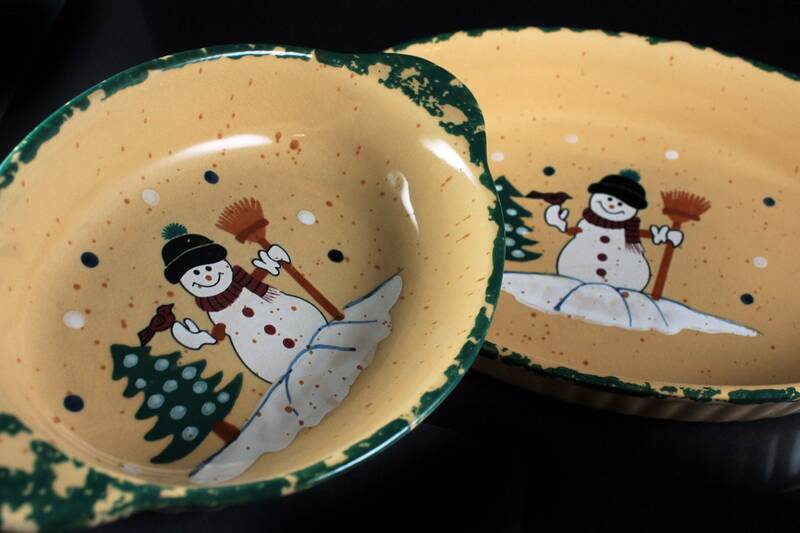 These are in very good condition. 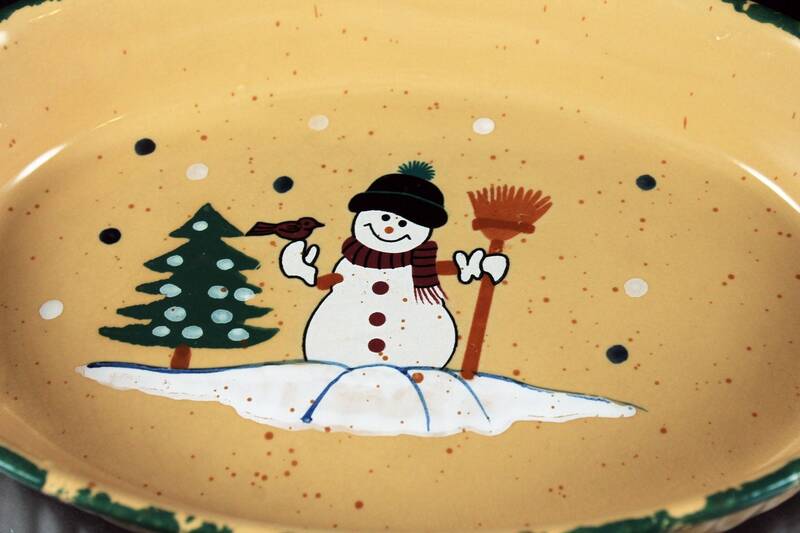 They have no chip or cracks. 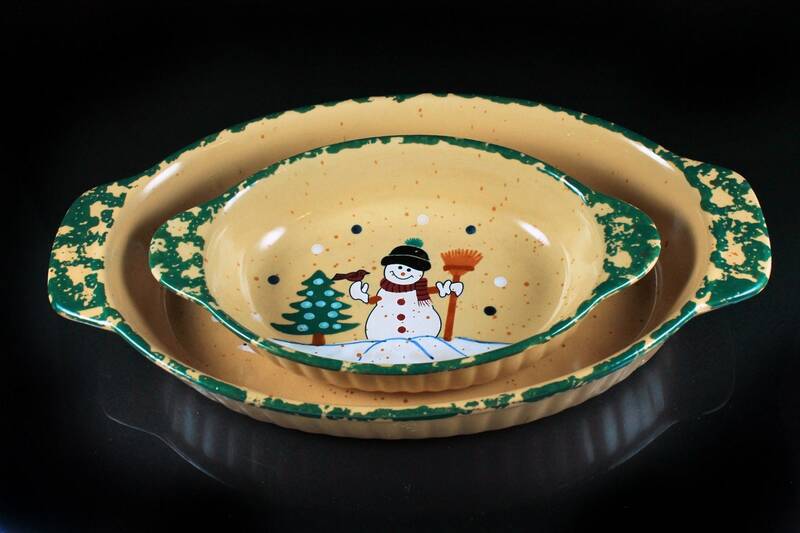 There is some light crazing on both mostly on the outside of the dishes. 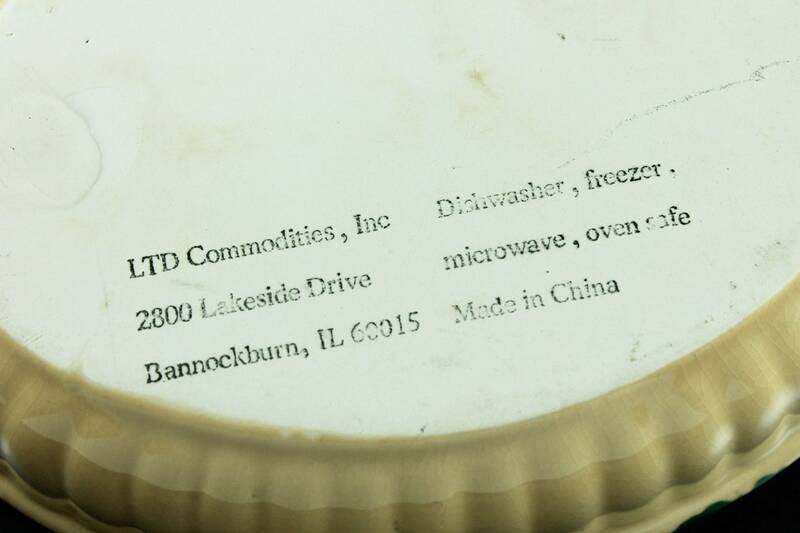 The bottoms of the dishes show some staining from being used over the years and from not being glazed by the manufacturer.